The lucky player landed a jackpot of £20,366.06 after deciding to place the progressive side bet during the pokergame. 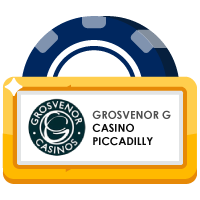 The side bet is £1 per wager and with that bet, players have the ability to win either a Minor or Major progressive jackpot. The jackpot prizes continue to increase as players place the side bet wager until they are hit during gameplay.